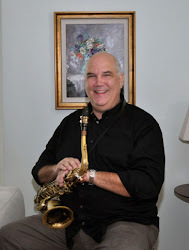 I am a Saxophone and Woodwind player who started working in Los Angeles in 1980 with the Les Brown Orchestra and joined Local 47 soon after. I have been very fortunate to work in the Live Performance field as well as Recordings, Theaters and on occasion, Symphonies and Ballet. It has been my pleasure to work with so many talented members of this local through the years, and to work on their behalf on the Local 47 Executive Board. I become involved in our Local in 1996 as Chair of the Shubert Theatre orchestra committee, and helped negotiate a new agreement with higher wages and substantial pension increases. Later, I was named to the Local 47 Wage Scale and Legislative committees. I was appointed Director Pro Tem in 2004 and was elected to the Executive Board as Director for the terms starting in 2005, 2007 and 2009. I have been involved in many more negotiations for Local 47 and recently participated in the Motion Picture TV Film negotiations last year. I am also serving on our Local’s Computer Sub-committee, which is working hard to modernize our IT systems that help run our Local. I have also served as Delegate to the AFM convention twice, recently helping elect a new President of the AFM. The trio of Trustees Judy Chilnick, Paul Castillo and myself (all incumbents) unites three very committed members of the Executive Board who will continue to keep the musician’s perspective in navigating the complex melding of Musicians, the Music Business, Local 47 and the AFM.